A trip on the coach is a great way to combine the ease of travelling without a worry and ticking off the interesting places and attractions you have always wanted to visit. One of those bucket list places in the world may also be the scene of one of the world’s most devastating wars: The battlefields of Belgium and France. Our battlefield coach trips at Rifleman Tours will provide you the best background knowledge that you need to uncover the secrets, stories and more about the events that unravelled in both WW1 and 2. Whether you have an interest in World War One or World War Two, our battlefield coach trips are designed to span the wide range of battles that occurred in both. What is included in our battlefield coach trips at Rifleman Tours? To complement the battlefield tours that we provide in places such as Ypres, Mons and Dunkirk, we make sure that your time with us is pleasant and comfortable. Our transportation will guide you to central accommodation with ferry trips included where you will be able to enjoy the surroundings and explore outside of our pre-designed itinerary. We believe that our battlefield coach trips will be enlightening and exciting for all ages and help everyone to discover the true extent of war in Europe. 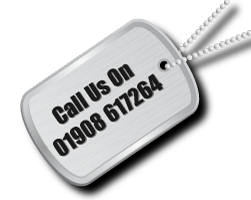 If you would like to find out more about our specific battlefield trips and their prices, speak to us today.